WAREHAM, Mass. 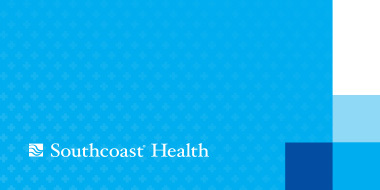 – Southcoast Health today announced that Rachel Jones, MD, bariatric surgeon, has joined Southcoast Physicians Group, and will see patients at Wareham Surgical/Southcoast Center for Weight Loss, 100 Rosebrook Way in Wareham and 300 Hanover Street in Fall River. Prior to coming to Southcoast Health, Dr. Jones completed her fellowship in minimally invasive surgery at the University of Nebraska Medical Center in Omaha, Neb. Dr. Jones earned her doctorate from SUNY Upstate Medical University in Syracuse, N.Y. She completed her surgical residency at Baystate Medical Center/Tufts University School of Medicine in Springfield, Mass., where she served as a clinical associate from 2008-2012 and a clinical instructor from 2012-2013 in the Department of Surgery. She was named Trauma Resident of the Year in 2012 at Baystate Medical Center. She is a member of the Massachusetts Medical Society, American College of Surgeons, Association of Women in Medicine, and Society of American Gastrointestinal and Endoscopic Surgeons. Dr. Jones also has a particular interest in health information management and the use of the electronic medical records to improve the delivery of medicine. To schedule an appointment, call 508-273-4900.